We already know just how important libraries, librarians and information professionals are! They do an amazing job of providing people with access to the information they need to further their knowledge and support their work. Our top-selling referencing tool, EndNote, can help to make their job easier – improving research productivity and managing literary information for library staff and users alike. That’s why librarians are a key focus for us, not just on National Libraries Day this Saturday, but for the whole year round! In fact, we’ll always jump at the chance to meet these champions of discovery and that’s why we’ll be attending four upcoming events this year aimed at librarians and information professionals. Look out for the Adept Scientific EndNote stand. Check out Adept’s events page to learn more and link through to individual event registration pages. This week our intrepid EndNote team travelled to The University of Manchester for CILIP’s Umbrella 2013 Annual Conference and Exhibition. The event brings together Library and Information Professionals across the country to share ideas and new ways to improve literacy, access to information and the transfer of knowledge. A key theme for the day is how libraries are keeping up with the changing nature of the information landscape in today’s digital age. Thanks to the web, web-based and mobile technologies, people have greater access to more research material than ever before. It’s a trend that EndNote has grasped with both hands. No longer confined to the desktop, you’ll also find its renowned research and referencing tools available in varying degrees of complexity on the Web or on an iPad. And thanks to automatic library syncing, you’re able to access, manage and coordinate your library anywhere! EndNote unlocks the research potential of the web; putting hundreds of online reference resources at your fingertips; making it easy to instantly capture relevant extracts and source information; automatically finding and downloading full text files; plus automatically updating records to keep your collection current. EndNote’s web-based component also makes it easy to share references and collaborate online. Click on the following links to discover how EndNote could maximise your online reference search potential, as well as help you work together and pool resources on research projects. Want to see if EndNote could work for you? Download a free trial today. This past week, Surak Perera, our Maths & Simulation Software Specialist, took part in Nightrider – a 100 km night-time cycle through central London – to help raise donations for NSPCC. He talks about his journey on the Adept Scientific blog. It is an amazing experience riding through a city at night. You see its different characteristics in a raw form. I felt like I was rolling around all of London’s social facets. Traffic jam at Piccadilly Circus + 100s of Saturday Nighters + 100s of Night Riders = Fun. Dawn; looking up and seeing the Tower Bridge and feeling like I had stumbled across it on my way. Tripping a 30 mph speeding board. This gave us a rough indication of speed downhill. Here is the route tracking data for Surak’s cycle through London. If you would still like to contribute towards Nightrider, you can donate on Surak’s sponsorship page. EndNote site licence champions and trainers turned out in force at our VIP briefings last week to gain a sneak peak at EndNote X7.4, to grill Thomson Reuter’s Senior Director of Product Innovation, Jason Rollins, and take an active role in the software’s development. In fact, the London meeting saw our biggest crowd to date, with over 30 customers eager to air any issues and offer their product suggestions. It’s great to see that so many of our site licence contacts are keen to take part, particular because these briefings play such an important role in directing the way EndNote develops and ensuring it meets users’ needs; it was feedback from last year’s event that prompted Thomson Reuters to bring forward EndNote X7.4′s release date to better fit in with the academic calendar. Attendees got to see what the developers have planned for EndNote in 2013 with a view to advancing the tool to stay ahead in today’s more competitive market place. Thomson Reuters realise that increasingly, our EndNote champions are struggling to justify the cost of an EndNote licence when there are so many free alternatives available. In response, Thomson Reuters has just released FREE EndNote Basic – an enhanced and re-branded version of EndNote Web. EndNote Basic provides the perfect starting point for undergraduates looking for a free web-based reference management solution. Then, as their research grows in the course of their studies and their referencing needs become more demanding, they can progress to EndNote on the desktop and enhanced online functionality. EndNote Basic lets you store up to 50,000 references and 2GB worth of attachments online, search 5 of the most popular database providers and output in 21 of the most popular bibliographic styles. Why choose EndNote Basic over other free bibliographic tools? Because it forms the first step to using and becoming familiar with one of the most comprehensive reference managing solutions around; a package which is still regarded by many as the industry standard. Any EndNote-experienced students and researchers could be off to a flying start with employers! What’s more, many free referencing tools don’t offer an upgrade route should the reference collection outgrow limited online storage provision. With EndNote Basic, users can quickly and easily move up to the full-featured desktop edition and transfer their entire research at the click of the ‘Sync’ button. As far as EndNote X7.4 goes, we can’t reveal too much until it’s officially launched, but we can tell you that search facilities have been improved and Thomson are still expanding PDF management tools. What’s more, new reference types available with the latest release also reflect the growing importance of social media. Stay tuned to our blog for more detailed information about new features. These meetings are a annual occurrence so if you missed out on this year’s events, why not register for the EndNote JISCmail discussion list to make sure you’re first in line for the 2014 VIP briefings? This Valentine’s Day, Adept Scientific held a charity event to raise funds for a new playroom for the Lister children’s ward. Efforts involved baking love-themed goods for sale, dressing up, dressing down, and dressing in red. Adept Scientific was awash with red on the 14th and the cakes were flying from the kitchen faster than we could plate them. Overall, it was a fun and successful day, and those who contributed to baking, buying or dressing up/down helped to raise a grand total of £201.34. Have you planned any fundraising activities this year? We’d love to hear about it. Tomorrow, 9th February is National Libraries Day! So while you’re celebrating your local library and the library staff who strive to connect you with the information you need, why not check out two new tools from Thomson Reuters that streamline research and provide referencing tools wherever your discoveries happen – in the library or on the go. We’re talking about the eagerly anticipated EndNote iPad app and a new free RefScan iPhone app. The EndNote iPad app enables EndNote X6 users to easily find and import references from online databases into their EndNote library, then use the EndNoteSync capability to update, manage, share and synchronise their references in EndNote desktop and EndNote Web with just one click. Find out more, buy and download now! Thomson Reuters’ RefScan app lets users simply search for published material on their iPhone or scan the DOIs from printed documents to quickly look up in Web of Knowledge. Then they can store their findings in their own free, password-protected library in EndNote Web to retrieve anytime, anywhere with internet access. Find out more and download free now. Our products aren’t festive, but better & faster results beat bad Xmas socks every time! 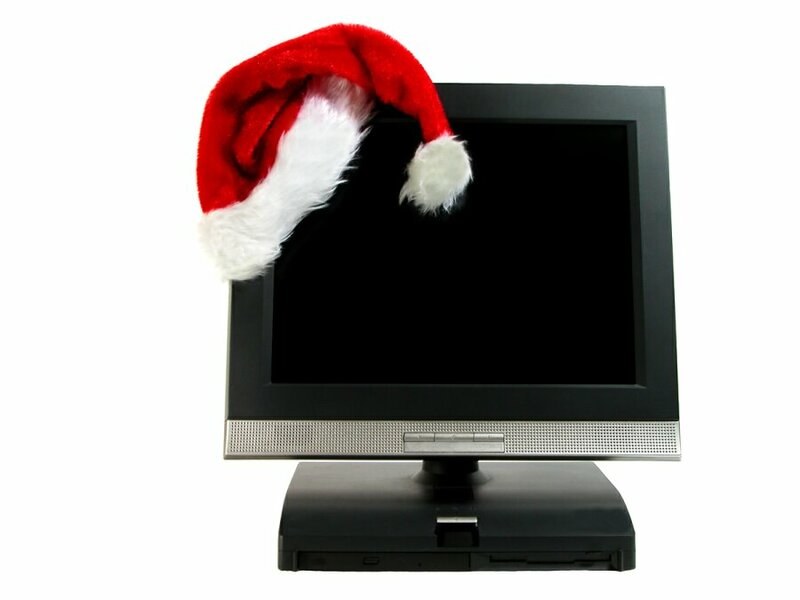 Ok – so I guess technical computing hardware and software doesn’t conjure up Christmassy thoughts, but anyone who’s had their work revolutionised by one of our products will agree an improved and simplified workflow is the best present money can buy. A really useful, time-saving piece of kit that’s going to make your job easier all year round has got to be better than gaudy Santa socks, tacky ties or jolly, holly jumpers you can only wear once a year! If you’re stuck in a software rut or using hardware which just isn’t working for you, maybe it’s time to treat yourself to a technical computing tool that could make a real difference to the daily drudgery. Whether you’re modelling engineering systems, measuring temperature, solving maths problems, mining reference material, monitoring processes or making lab reports, we’ve probably got a software or hardware solution that could do it better, faster and easier. View our product range now. Contact our team of experts for advice about your application, but check out Adept’s opening hours over the festive season first to make sure we’re available to take your call. In the meantime, from all the team at Adept Scientific, we’d like to wish our suppliers and customers a very Happy Christmas and a productive New Year.